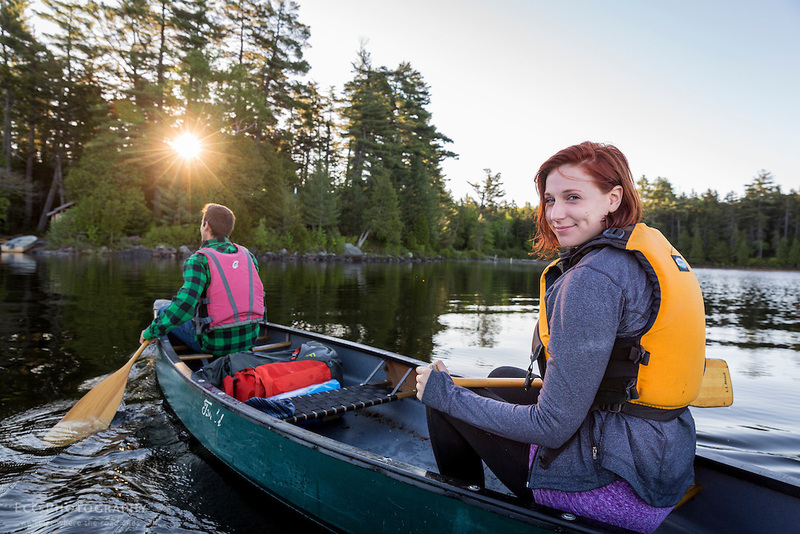 A young couple paddles a canoe on Long Pond in Maine's north woods. Near Greenville, Maine. A young couple paddles a canoe on Long Pond in Maine's north woods. At the Appalachian Mountain Club's Gorman Chairback Lodge. Near Greenville, Maine.